Zoo With Roy: Go Michael Young! We Believe In You! Jim Rice was awesome at grounding into double plays. With Ben Revere hitting well of late, Young is out of the lead-off spot. That was a ridiculous enough idea on its own, but particularly terrible in light of Young's chasing history. In the two slot, behind someone who's getting on base but incapable of extra base hits is the perfect scenario, and one I think that just may put Young on the fast track to take down Rice. Even if he moves back in the lineup after Chase Utley returns, I think Young can pull this off. Batting often with Ryan Howard on first could push him over the 40 GIDP mark, but I don't want to get greedy and jinx this thing. 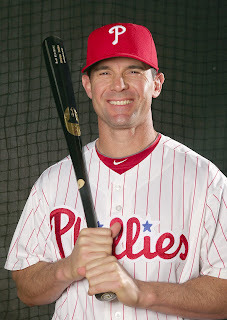 I'm nothing if not an optimist, and Michael Young ... Donkey Nation believes in you! YOU CAN DO IT MIKE!